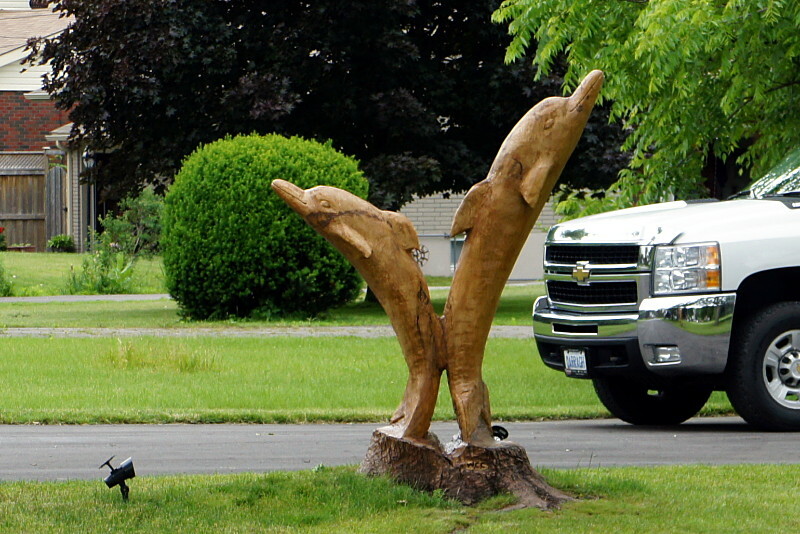 I wrote a while ago about a chair carved out of a tree stump (and its subsequent demise), but it has nothing on this bit of stump art in Peterborough, a pair of dolphins leaping out of the yard. According to Google Street View, the dolphins were hidden inside this tree (in the shadows, at the front of the pickup truck) just three years ago, in August 2009. All it takes is a bit of time. 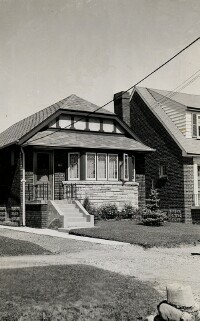 This is my great-grandparents’ North York house around 1942 and again in 2007. The sapling they’d recently planted is barely a lawn ornament in the 1942 shot. Sixty-five years later, you can’t see the house for the tree.